There is a roiling debate in Democratic circles as we approach the November midterm elections: Should people talk about impeaching Donald Trump? There are reasonable grounds for impeachment. The most straightforward justification is the income from foreign governments Trump still receives through his hotels and other properties. Last week, a federal judge ruled that Trump’s income from foreign governments as president was a prohibited “emolument” under Article 1, Section 9, Clause 8 of the Constitution. There is also the issue of obstruction of justice. Trump went on national TV and said that he fired former FBI Director James Comey to end the investigation into a possible conspiracy between his campaign and Russia. I could go on. But the point is that if Democrats retake control of the House of Representatives in November, the impeachment of Trump is a real possibility. There is a dispute about whether, over the next few months, it should even be discussed. Nancy Pelosi believes impeachment is a political loser and is urging members of the House Democratic caucus not to discuss it. “I don’t think we should be talking about impeachment… On the political side I think it’s a gift to the Republicans,” Pelosi said in an April press briefing. The theory is that, by raising the specter of impeachment, it will motivate Republicans to turn out to the polls in November. Instead, Pelosi believes, Democrats should talk about pocketbook issues that impact voters. “We want to talk about what they’re doing to undermine working families in our country and what we are doing to increase their payrolls and lower their costs,” Pelosi argued. Tom Steyer, who made his fortune as a hedge fund manager before devoting himself to progressive political advocacy, thinks Pelosi is wrong. He’s spending tens of millions of dollars to make his case. Kevin Mack, the veteran political strategist who is running Steyer’s “Need to Impeach” campaign, told me that pushing for impeachment is the “morally correct thing to do” because someone needs to hold Trump accountable. The Steyer position is that the old way of doing things isn’t working. “Democrats are at the lowest level of representation since the 1930s. The strategy we are using as a party is failing. It's time for something new and something else. And it is as simple as telling the truth to people,” Mack said. The implication is that most Democratic representatives believe, at least privately, that Trump deserves to be impeached. So Steyer’s position is that they should be up front with voters about their views. 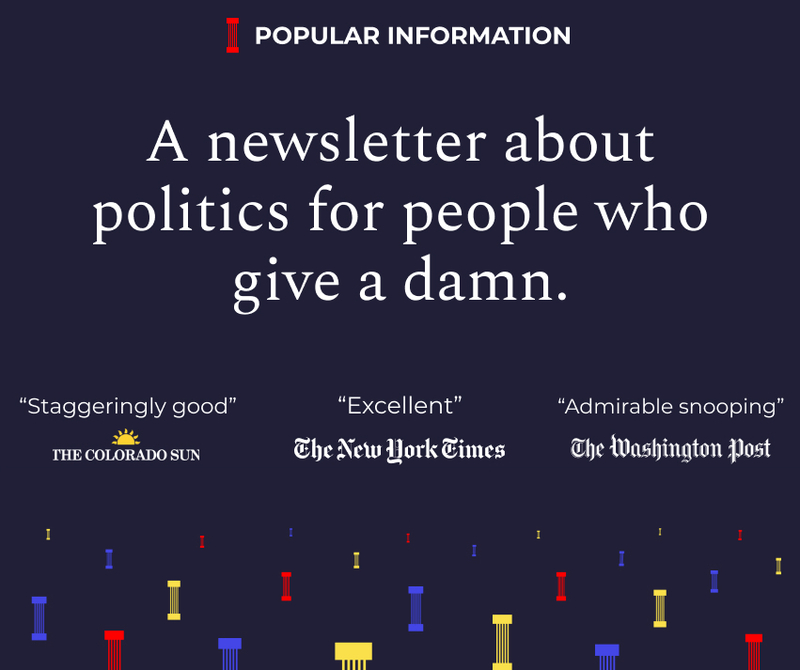 Beginning in 2017, Steyer bought TV ads promoting his impeachment campaign and used it to build an email database of 5.5 million people. That’s larger than the NRA’s email list. While the television campaign has ended, Mack says Need to Impeach will launch a sophisticated effort to mobilize this group in key races in 2018. While most of the Democratic caucus has fallen in line with Pelosi, Steyer has some allies in the House. Congressman Steve Cohen (D-TN) introduced an impeachment resolution in November 2017 against Trump, citing various crimes including obstruction of justice and violation of the Constitution’s emoluments clause. It currently has 17 co-sponsors. Congresswomen Maxine Waters (D-CA) and Praymila Jayapal (D-WA) have also been outspoken proponents of impeachment. A recent CNN poll found that 42% of Americans want Trump to be impeached and 51% oppose impeachment. On the one hand, it shows the majority of Americans don’t want Trump to be impeached. On the other hand, support for Trump’s impeachment is roughly the same level as support for Nixon’s impeachment three months before he was forced to resign. Some earlier polling showed a plurality supporting impeachment. Internal polling conducted by Steyer’s group in June found that the majority of Republicans are not that worried about the prospect of impeachment, suggesting it would not be a strong factor driving them to the polls. The debate over whether to talk about impeachment is a proxy for a larger discussion about strategy in the Democratic party. Should Democrats seek to regain the support of voters who supported Obama but switched to Trump in 2016? These voters outnumbered those who switched to Clinton after supporting Romney. If so, talking about impeachment may backfire as these moderate voters might view it as a radical measure. Or should Democrats seek to energize young people and others who do not have a long voting history? If so, talking about a bold step like impeachment, alongside a more forceful policy agenda, could motivate them to get to the polls. Senior Republican officials have told me they're holding their breath, hoping Trump won't endorse hardliner Kris Kobach in Tuesday's Kansas gubernatorial primary. Kobach is as far right as a Republican gets on immigration and voting rights, and Democrats view his potential victory as an opportunity to steal centrist voters.